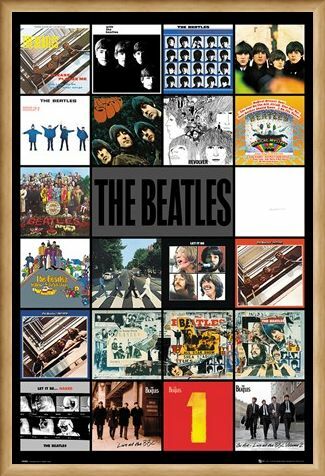 Add an instant dash of old school rock 'n' roll to your wall with this retro Beatles poster, featuring a grid montage of the artwork from all of the band's greatest albums. 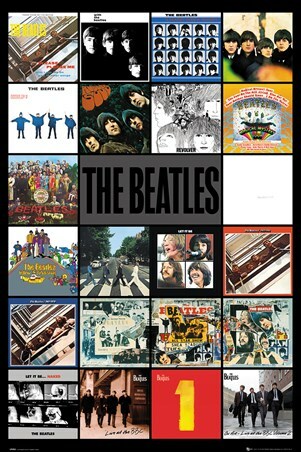 Displayed in chronological order, their first studio album 'Please Please Me', released in 1963, is pictured in the top left corner, photographing the group peering over a multi storey flight of stairs. 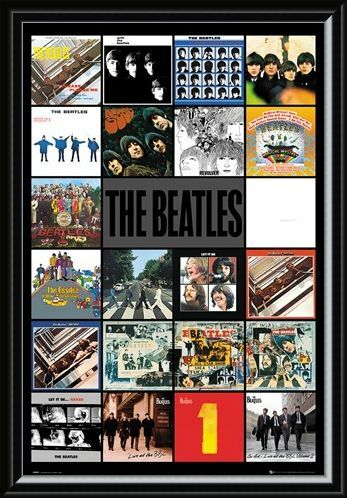 With the iconic 'Abbey Road' artwork stamped in the centre of the poster and the group's title displayed in bold block lettering, this is the perfect way to show your support for these British musical legends. 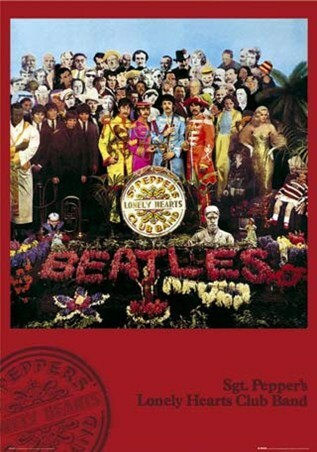 High quality, framed Albums, The Beatles poster with a bespoke frame by our custom framing service.